R. House in Baltimore's Remington neighborhood is quickly becoming my favorite place in the city. There's so many gluten-free options and the vibe is absolutely perfect and foodie-centric. Especially on weekends, it's nice to be around the hustle and bustle of the diverse crowd and take advantage of dining al fresco. 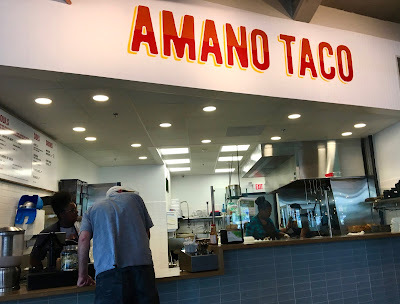 Although I have visited R. House a couple of times, I have totally walked by Amano Taco without realizing that it's a 100% gluten-free food stand. How did this fact escape me? I am baffled, but once realizing my faulty oversight, I made a bee line to the food hall to check out this authentic taqueria. As a devoted taco enthusiast, I have high standards when it comes to tacos so I was eager to see how Amano Taco would measure up. Baltimore is a nice playground for gluten-free foodies, with plenty of great options around town. One of my favorite new foodie hot spots in the city is R. House, which is home to ten up and coming food concepts from local chefs. I have been once before, but have been woefully negligent in my food blogger duties by not return to seek out more gluten-free options at the food hall. 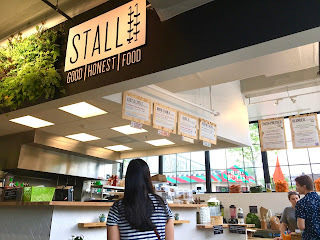 For my second visit, I decided to set my sights on Stall 11, which is a plant-based, farm-to-table focused stand that has tons of great whole food-based options on hand. From smoothies to creative bowls, prepackage food options, and juices, there's plenty of clean eats to go around any time of day. What's really cool about Stall 11 is that they are serious about providing healthy, fresh, local fare. Much of the menu comes from Baltimore urban farms, which adds a new dimension of awesomeness to this venture. As soon as I walked into the stall, I knew I was in for a treat. I've discovered that Passover ushers in a gluten-free treasure hunt at local grocery stores as gluten-free versions of Kosher foods are stocked for the holiday. 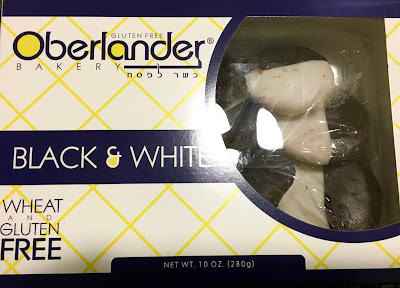 In a recent post-Passover run I saw a new-to-me brand that made a product I have never seen gluten and dairy-free: black and white cookies! I've seen gluten-free verisions of the striking cookies before but never a dairy-free version so I bought two boxes on the spot to try. Oberlander Bakery is New Jersey-based bakery that's part of the Orthodox Baking Co., which makes several gluten-free treats for passover including a cookie assortment that features a colorful array of macron-like cookies. In this review however, the black and white cookies will take center stage. One of my favorite restaurant trends in recent years has been the abundance of fast-casual lunch places that offer affordable, healthy food that can be customized to dietary restrictions and preferences. 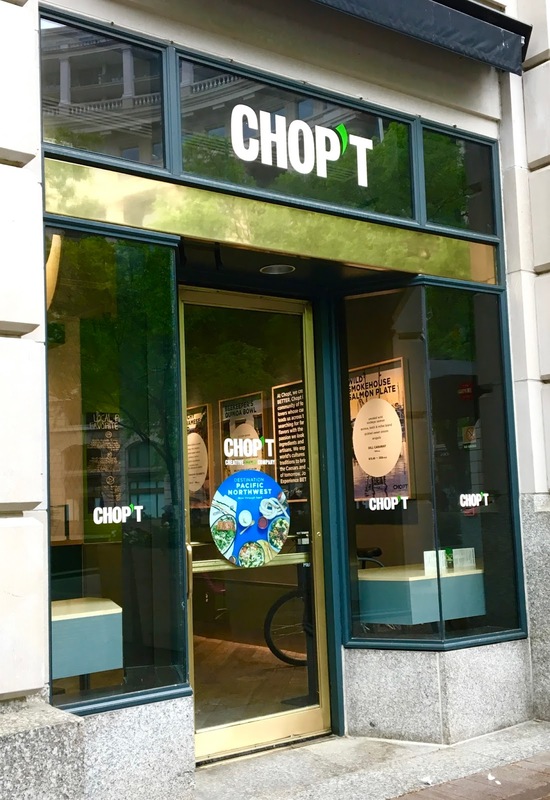 The latest of these type of restaurants on my radar is Chopt, a salad-focused eatery that promises "farm-to-fast food" eats that are anything but boring. Chopt utilizes farm-fresh ingredients that are locally sourced, which means that their food packs a nutritional punch. Additionally, they craft their menu with an eye on seasonal flavors so that they are taking advantage of the season's freshest flavors. What makes Chopt unique is their one-of-a-kind method of making salads. Once a customer selects their ingredient blend, staff slice all the ingredients together on a chopping board using a giant knife. The ingredients are then tossed together with dressing, which ensures there is everything is mixed well. This slices and dices the concept of "tossed" salad! On my latest DC visit, Mother Nature was not on my side, at it was a raw, rainy day for trekking around the city. After battling the elements all day, I looked forward to enjoying dinner at Carmines, an Italian restaurant that ensures that everyone- including those with dietary restrictions- can enjoy the experience of sitting down to a family-style Italian meal. While Italian food does have pitfalls for those who are gluten and/or dairy-free, Carmine's menu offers plenty to love for everyone. 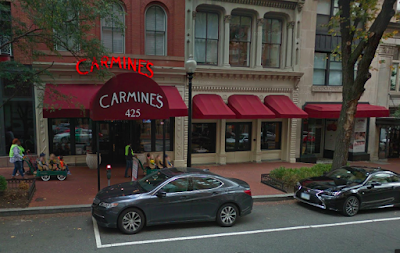 With gluten-free pasta as well as options for appetizers, entrees, and even dessert, Carmine's has been on my radar awhile for places to check out in the DC area. Carmine's is a more "touristy" spot than I typically pick, but I was won over by the good reviews I had seen online about their gluten-free offerings. With thematic Italian music playing and high spirited atmosphere, it was easy to enjoy my meal here. Anyone who has followed me for awhile has probably picked up on the fact that I am a super fan of The Greater Knead (formerly Sweet Note Bagels). Their gluten and allergen-free bagels and infectious entrepreneurial spirit makes it easy to cheer this passionate company on. 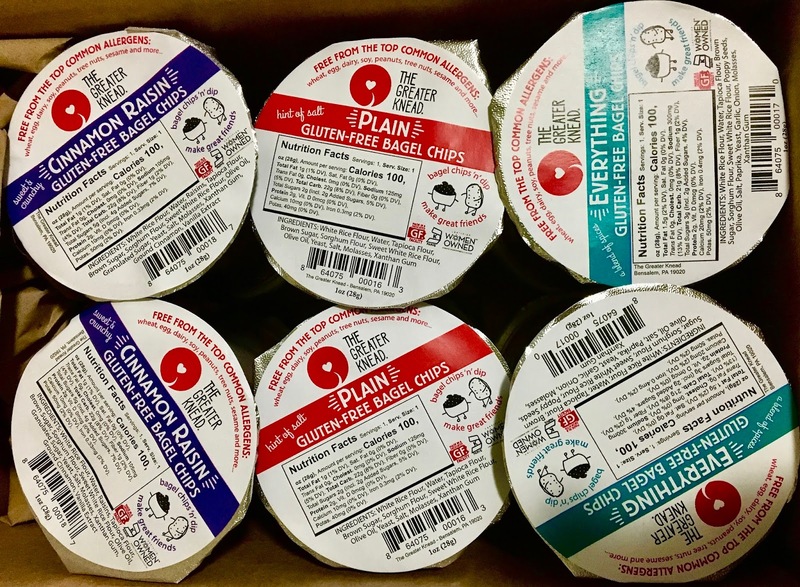 I have written reviews before of their bagels (standard flavors, online-exclusive), but knew that their newest product would make even greater waves in the gluten-free world: bagel chips. For people who have a hard time finding bagels that are safe, bagel chips are a unicorn-like food that exists only in our imaginations. However, thanks to The Greater Knead, this beloved snack option is a reality- and is packaged in travel-friendly, convenient packaging too! 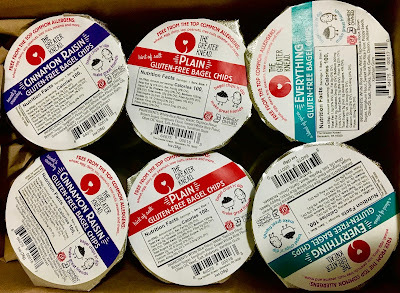 Although I approach every review as non-biased as possible, I admit that it didn't take much for me to fall head over heels for these adorable snack-size packs. 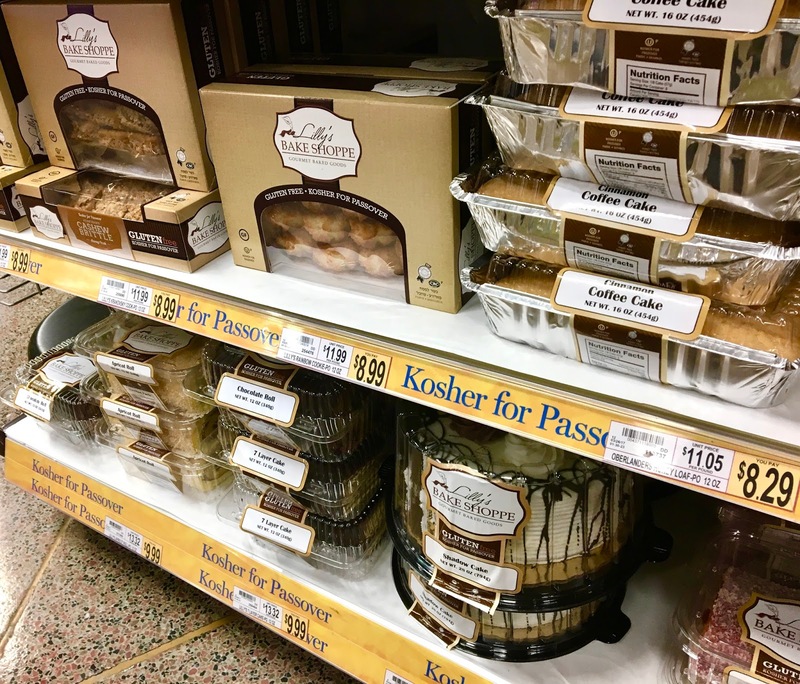 Last year, I wrote my first review of Lilly's Bake Shoppe's gluten-free Kosher baked goods that appear on the shelves of my local Wegmans every Passover (read that review here). From full-size cakes to macaroons, cashew brittle to chocolate rolls, the variety of sweets offered ensures that everyone can select something to love from the seasonal display. This year, I decided to sample more of Lilly's options since I only sampled to products last year- the chocolate roll and rainbow cookies. From cake to cookies, I was excited to reunite and fall back in love with Lilly's products. 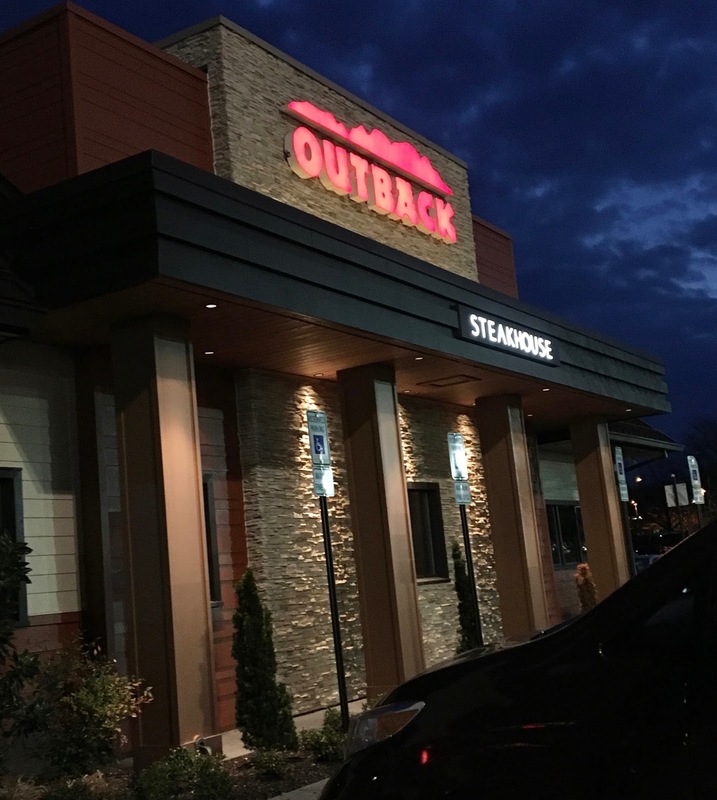 Of the big chain restaurants out there, Outback Steakhouse has earned a rap as a reliable place to find gluten-free eats. Serving up gluten-free eats for over a decade now, the restaurant has partnered with registered dietitians to curate a menu of safe eats. Offering everything from steak to seafood, loaded potatoes to a loaded brownie sundae, their gluten-free menu is certainly versatile. With locations around the country, they're a great place to keep in mind when traveling. My recent visit to Outback marked the first time I have eaten at the restaurant since going gluten-free. A cousin of Carrabba's, which is one of my favorite chain restaurants (my review here), I entered my experience expecting the same level of gluten-awareness and variety of options.